Leisure, Hospitality & Tourism World is Europe’s most comprehensive event combining all aspects of the leisure, hospitality and tourism sectors. This event helps the owners of established leisure and hospitality attractions create unforgettable guest experiences for all customers by adding the very latest innovations, installations and services to their business. With 1,000 exhibitors and 500 speakers across both days, this is a unique opportunity for forward-thinking entrepreneurs to discover the latest and greatest innovations and services to add to their business that customers will not be able to resist! Looking for the next best thing to entice thousands of guests to your business? Then Leisure, Hospitality & Tourism is the event you would be a fool to miss! Join us on the 7th and 8th November 2018 at NEC, Birmingham. 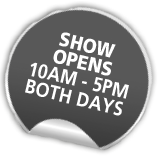 The show opening at 10m and runs until 5pm on both days. The Prysm Group is now the biggest independent events’ organiser in the UK, we have been successfully running conferences, exhibitions and events for over 16 years. Our Great British Business Show is the largest business event in Europe running twice a year (December at Olympia and May at the ExCeL). In addition Legalex is the top legal conference in the world, Neurological Rehabilitation Expo, The Flood Expo, and B2B Marketing Expo are leaders in their fields and our specialist rehab and elite sports show is leading the way in Europe with regards to an unrivalled place for the worlds’ best sports teams professionals (including Premiership teams, Team GB and elite World Rugby). The teams at Prysm are specialised in their distinct areas and 100% dedicated to building and providing world class, award winning events.